Join myself & Ryan Birnie this Saturday 23rd, on the practice tee. Put your driver up against the new Titleist TS Driver. If you hit your driver further, we will give you a special Titleist 2 Ball gift pack. 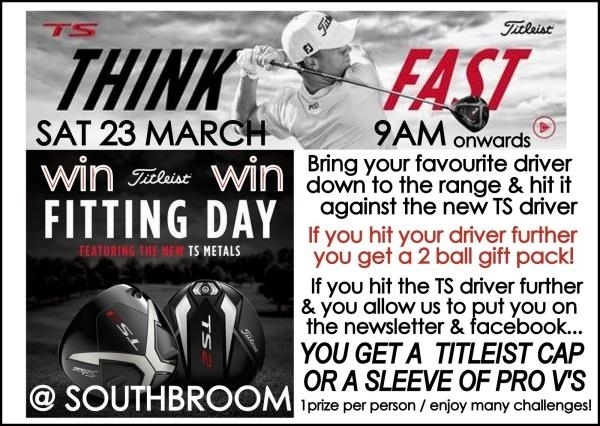 If you hit the TS Driver further and we can use your picture in the newletter and on Facebook, you will be given either a Titliest Cap or sleeve of Pro Vs! It’s just a win-win day. The Ladies always have a fabulous summer with all their member sponsored days! 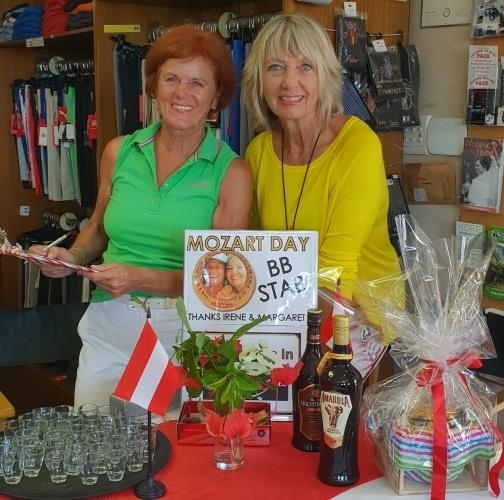 Last Saturday was the highly anticipated ‘Mozart Day’, with Irene Schanda & Margaret Stoellinger welcoming the field with a delicious liqueur -whilst selling lucky draw numbers (to win a hamper of Austrian Chocolates). The Pro Shop check-in was filled with strains of music from Vienna. 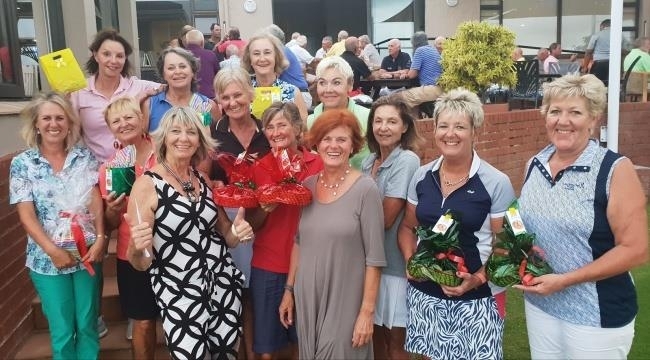 After play, the Ladies gathered in Mulligans which was transformed into an Austrian Kafee Huis and all enjoyed the most delicious home-made cakes with Southbroom Cappuccinos. Thanks again to Irene & Margaret pictured below- surrounded by all the happy winners! & Eli Bachmann won the lucky draw. 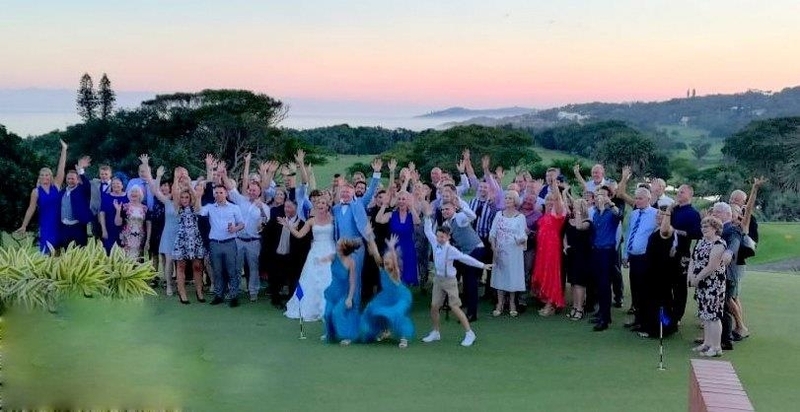 Sunday was a hot wind-free day, just perfect for a beach wedding below the 2nd hole. The wedding party enjoyed the balmy weather late afternoon and the most perfect evening! The new generator ensured the party never stopped. Congratulations to newly-weds Jason and Chantel Welsh. 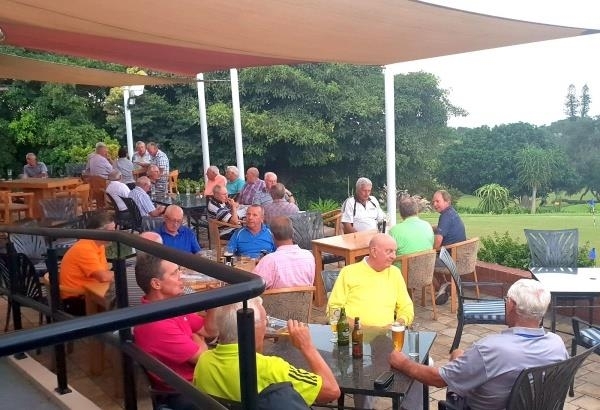 Well done to Gavin and his clubhouse team, and Bree Simpson of Ivy Events. It was all just amazing. 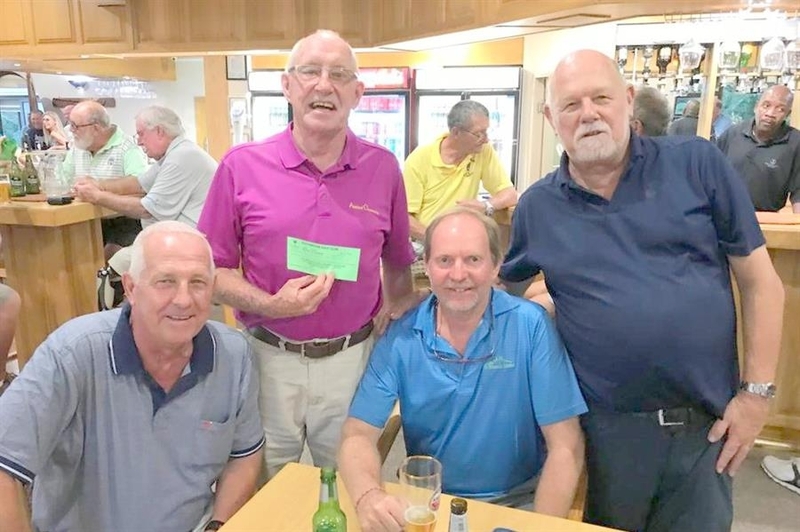 In the recent Southbroom Business Day (2 scores to count & 3 scores on the Par 3s): 100 points from Malcolm Greenland, Bob Carmichael, Alex & Kevin Crawford won the day! 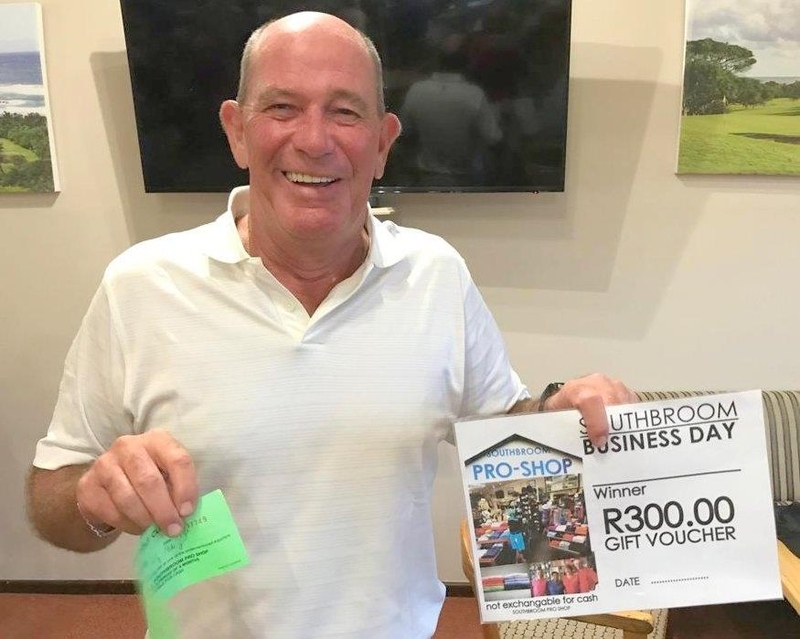 Gordon Abbey was delighted to win the Ladies lucky draw. 3 weeks until Club Champs! 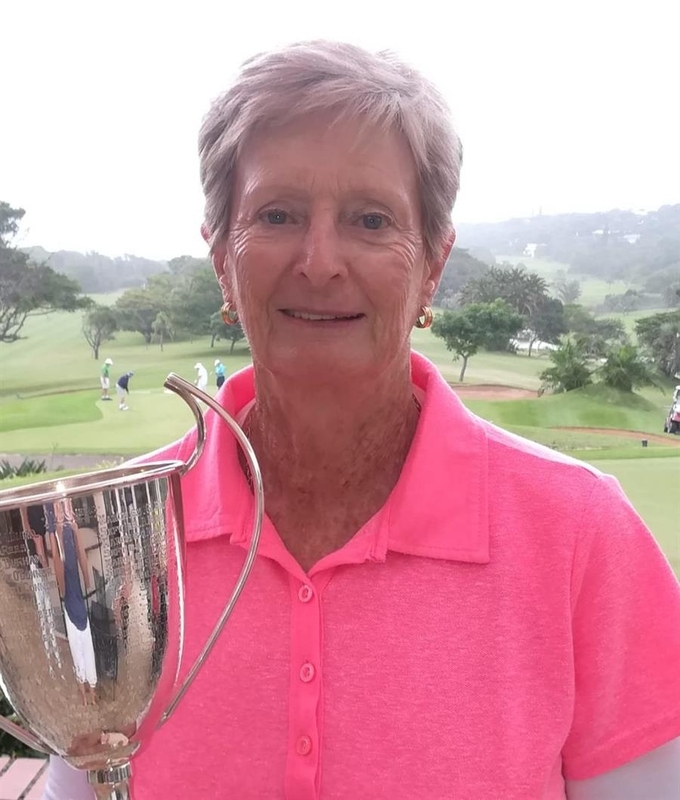 The draw sheet is now open for Club Champs. After some rain the golf course is looking so good and will be great for Easter. 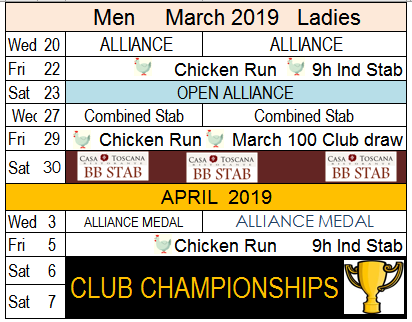 Club Championships are coming up in 3 weeks over the weekend, 6 and 7 April. Thanks to a sponsorship from Mel Davies. The practice net is almost up and it will be a great quick 2 bay warm up area before heading to the tee. 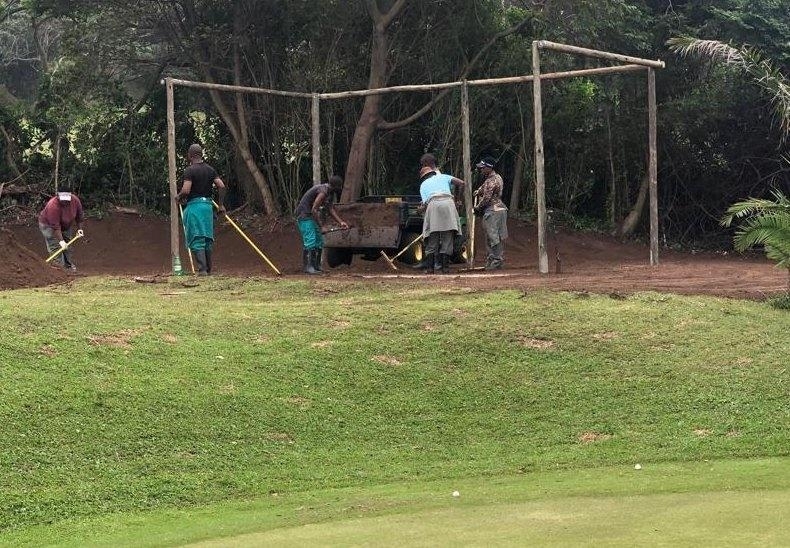 We are also doing a huge clean up on the course which makes everything look so clean & neat. Classical Concert at Riverbend on Friday 5 April. We are offering what promises to be a very enjoyable programme. In the first half flute, oboe, cello and harpsichord will be playing duo’s, trio’s and quartets by JS Bach, Telemann and Haydn. After the Interval, a variety of music of later periods by Mozart and Carl Maria von Weber will be accompanied by piano. Friday 5 April at 18h30. Free wine tasting to ticket holders at 17h45. Tickets priced at R120 will be on sale at the Riverbend shop from Thursday 14 March. Please note that the shop opens at 9am daily. Ingrid at Flavours is offering the following menu for dinner after the concert at R200pp. This does not include a service charge. Creamy chicken with broccoli, bacon and peppers served with gnocchi or Cornish pasty (beef) with butternut and potato mash and homemade gravy. Homemade mango sorbet with a little fresh fruit salad OR Chocolate eclairs.Please pay for your dinner when buying your concert tickets, making a note of your menu preference at the same time. 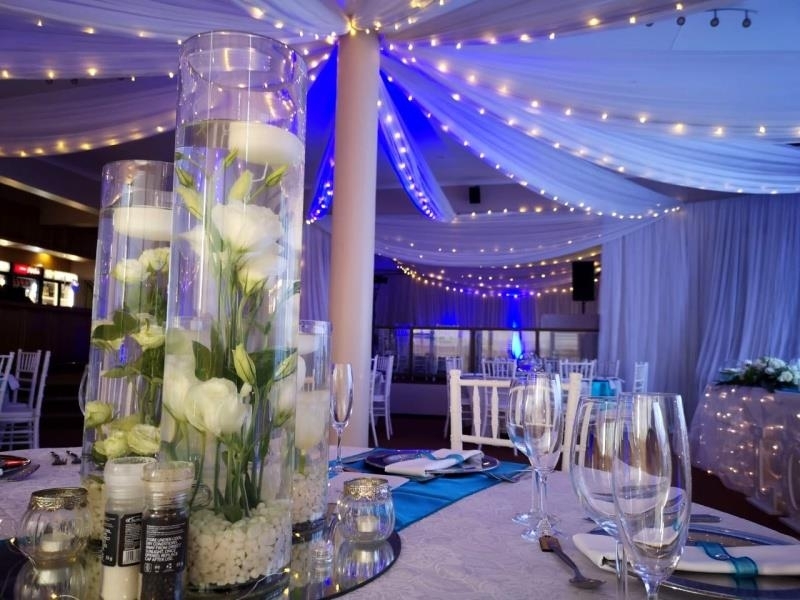 To facilitate catering, no dinner bookings will be taken after Sunday 31 March. Your choice of wine and table seating can be arranged beforehand by phoning Flavours at 039 314 4370. Alliance, 2 scores to count, 3 on the shorts. You can watch all the latest equipment news from the 2019 PGA Merchandise Show live on SuperSport. Could this be made easier for you? We want to know how we can help you enjoy a better playing experience this year. We’re not selling equipment or a fitting. We want to supply a better playing experience. your playing experience. Have you got what it takes? the best technology, and the perfect fitting. It’s an advantage to be able to tee the ball up, even if you’re using an iron. It’s the opportunity to create the perfect lie, but this is what we see too often. This ball is teed up too high for an iron shot. This risks the ball hitting high on the face of an iron. There’s a real loss of distance above the sweet spot on an iron. Below is a is perfect example. The ball appears to be resting on the top of the blades of grass. Don’t try and play the ball on the up. It’s an approach shot from a perfect lie. Find time to practice and make sure you’re playing the shot with the correct technique. Build your confidence. Good technique and some practice breeds confidence. Good technique, practice, and confidence lower your scores. It also thrills you with better approach shots. We can help.